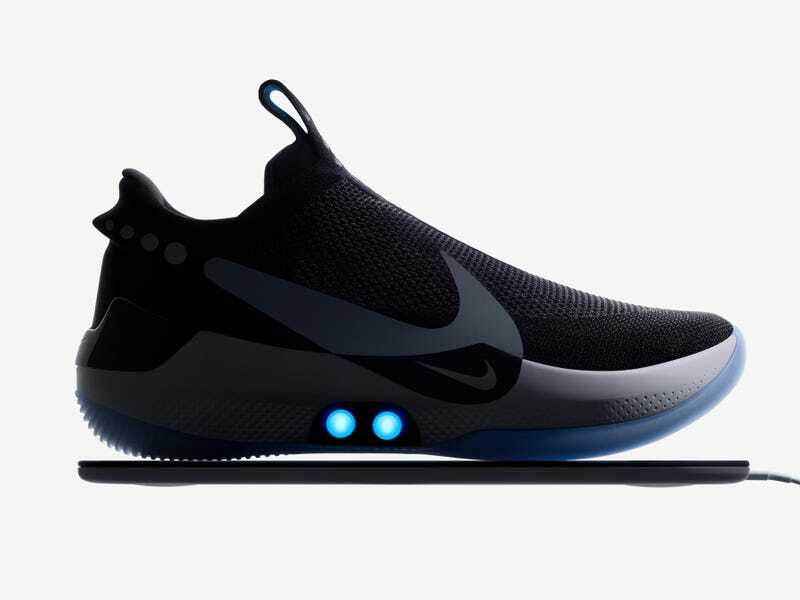 The Nike Adapt BB will be the company’s second self-lacing shoe to be released to the general public; the HyperAdapt 1.0 was released back in 2016, a year too late to meet the Back To The Future Part II prediction. And the technology has already undergone some major upgrades; Nike Adapt app will now allow the wearer to continually update the FitAdapt shoe firmware (not a phrase we ever expected to say), making the shoe adjustable on the fly. With the introduction of driverless taxis, rollable televisions, interactive movies, and shoes that lace themselves, our present is starting to look more and more like a “future” depicted in 80s sci-fi flicks—complete with global superpowers in political disarray.